Cherington Place is a 75-bed complex care centre located in North Surrey, BC overlooking the Fraser River and the North Shore mountains. 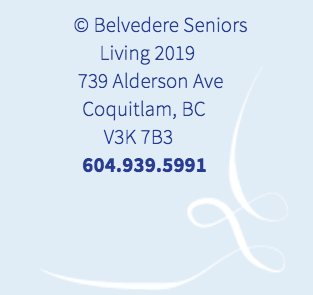 All beds are government-funded through Fraser Health and support residents with behaviour management issues typical of individuals with dementia and/or other complex care needs who cannot live safely and independently at home. Cherington Place residents receive 24 hour professional nursing, supportive and personal assistance in a tranquil setting. It has interesting views, mature gardens and pleasant places to sit with friends and family to enjoy nature and each other’s company.